The Lex Perković affair and an attempt to protect Josip Perković from criminal proceedings and the resulting direct confrontation between the Croatian Government and the European Commission has marked the past few weeks in Croatia. Željko Peratović, Croatian correspondent for Reporters Without Borders has of late been occupied with preserving secular society in our country as well as the Perković affair, the latter being the reason for this interview. SEEbiz: What has compelled you to cover the topics of political murders, and how long as this been an issue? Peratović: As a war reporter in 1991-92, and later as editor and political journalist I came upon a number of contradictions between actual events in the field and their official interpretations. In October 1997, working as a journalist for the magazine Globus I wrote a piece about a film by Croatian-Swedish journalist Nikola Majstrović whose topic was the murder of Miro Barešić and its screening held at the Park Hotel in Ljubljana. This was the beginning of my systematic work with this topic. 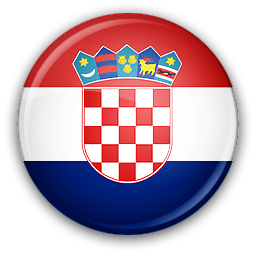 SEEbiz: You’ve had problems with Croatian Secret Services, the police and judiciary because of your field of interest. Can you tell our readers about how this happened? Peratović: I’ve had various anonymous threats. I was explicitly threatened with murder in 1998 when Josip Perković showed me a gun. I was physically assaulted by war criminal Munib Suljić. I lost my job at the Vjesnik newspaper in 2005 due to pressure put on the editorial staff and have been unemployed ever since. In 2007 I was arrested, suspected of publishing state and military secrets on my blog. Court proceedings were initiated against me by former Minister of the Interior Karamarko who accused me of alarming the public and breeching the secrecy of court proceedings. There were also proceedings by the police and State Attorney’s Office based on an anonymous tip that I abuse my underage daughter. And, the latest, my cottage was broken into. SEEbiz: Since entering the EU, there has been much media coverage on the Josip Perković case and the Croatian authorities’ refusal to extradite him pursuant to the European Arrest Warrant. What do you believe the political background of Lex Perković and the so-called Constitutio Perković to be? Peratović: For now the information based on which I could draw a complete conclusion regarding this case is not available. However, there are indications that it is a combination of pressure and promises to a circle of war profiteers, former Communist Party members close to Mika Špiljak, President Ivo Josipović and the British diplomacy that have brought Prime Minister Zoran Milanović into the disastrous situation where he must defend this groundless law before the domestic and foreign public. Update 20. 08. 2017: At the trial of Perković and Mustač 2015, Vladimir Šeks has excellent manoeuvred to get out of the charges that he and I have been an associate of the Yugoslav secret police. In July 2017 he presented his new book in Zagreb. Šeks is today the most powerful man in HDZ who works in shadow. In the picture we see him with people many for whom in Croatia also say that they were associates of Yugoslav secret services. From left to right: Ivan Bobetko, Branimir Glavaš, Marko Grubišić, Vladimir Šeks, Tihomir Orešković and Ante Žužul. Photo by Ivica Orešković. SEEbiz: Are people from state intelligence circles still protecting people like Perković? Peratović: Most certainly. This is being done by the legal system; due to the politics of the government, Josip Perković is being treated as the most important person in the country. SEEbiz: What is the connection between Zdravko Mustač and Josip Perković, in the past and in the present? Peratović: During the time of Đureković’s murder, Perković was Mustač’s subordinate. Mustač left for Beograd in 1986 but their relationship formally remained the same. However, with Perković taking over the reins in Croatia’s UDBA he began to construct the system that gave him real supremacy, the same supremacy he enjoys today. Perković especially strengthened his power during the war, as Gojko Šušak’s assistant, while Mustač had the less influential position of secretary of Josip Manolić’s Office for the Protection of the Constitutional System. SEEbiz: Why were SOA employees Gordan Akrap and Mirko Ljubičić Šveps’ brother, Jerko, the first being an employee of the Embassy in Berlin and the latter being an employee of the Consulate in Munich, expelled from Germany at the same time? Peratović: Because they were obstructing the work of the German judiciary – they were putting pressure on witnesses in the Prates case, pressuring them not to testify or to give false testimony. SEEbiz: Do you agree with the statement of some intellectuals that Perković was the personification of origin of all the current Croatian elites? Peratović: Of course. He alluded to this in his last public statement through journalist Davor Ivanković of the Večernji list newspaper when, among other things, he stated that he knew Franjo Tuđman before the war. SEEbiz: How do you comment Milanović’s conceited constitution about the conspiracy between Karamarko and the European Peoples’ Parties against the current Croatian government in light of the fact that even Josip Juratović, a well-known member of the SPD with Croatian roots, has been actively involved in calling for extradition? Peratović: Before Lex Perković, I would have bet that the HDZ would use its ties to the judiciary to obstruct Perković’s extradition. Milanović has taken that burden upon himself and the HDZ publically stated its relief. As a result Milanović is spreading an ideological spin. The political decision regarding starting the process which caused this situation was decided in Germany in 2004 when Chancellor Gerhard Schröder of the SPD was in power. Nothing will change in Germany even if a left wing party wins the upcoming elections. It is humorous that someone who is proud of his diplomatic experience and stately attitude looks at Germany through the eyes of Balkan traditions: the government in power changes – and an arrest warrant is withdrawn. 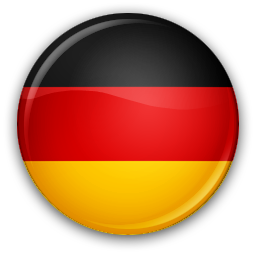 SEEbiz: You are also familiar with the German public scene. What damage do you believe not extraditing Perković will do for Croatia, and what image do you think Croatia has with the German public? Peratović: The damage has already been done. We have lost credibility with the country that lobbied most for our entrance into the EU and refused all afterthoughts that we needed monitoring because of corruption in our judicial system. What happened was what many people had secretly feared, and that is what the German public is most sensitive to: it became evident that Croatia, as Romania and Bulgaria, is still run by strong, undemocratic structures dating from its socialist past that form the foundation of corruption and ties to organized crime. This, as in the situation of the previously mentioned countries, has now become a European problem. SEEbiz: You are very critical about the behavior of President Josipović in the Perković affair. Can you explain his role? SEEbiz: In your public appearances we could see your reservations towards the behavior of Karamarko and the HDZ in this affair. In your appearances in German media you stated that you suspected that the HDZ wanted to somehow blur the politically motivated murders after the 1990s. Many public statements made by Vladimir Šeks have also gone in the same direction. Can you explain this to our readers? Peratović: Regardless of the fact that investigations were conducted into some of the political murders after the 1990s, and that in some cases the criminals themselves were punished, because of the other factors involved the theory that this is a case of state terrorism, that political enemies, or those perceived to be enemies of the government in power were murdered cannot be ignored. Furthermore, people from within the system participated in or organized the murders and these cases have remained unsolved until the present because the investigations were obstructed and the political will to solve the cases did not exist, not even when the first SDP coalition government was in power. SEEbiz: Can, in your opinion, a comparison be made between the work of the so-called Perković group in the so-called murder of Đureković and the so-called politically motivated murders in the 1990s, such as the murder of Levar, Krivokuća, Paradžik or Kraljević? Peratović: The founder of the military intelligence service, Brigadier Dragutin Frančišković, stated in the magazine Hrvatsko slovo in 2006 that as far as he knew, Josip Perković was involved in 16 political murders during the 1990s. The murders of Stjepan Đureković and Milan Levar are similar in that there were people who reported the victims’ where abouts to the organizers of the murder. SEEbiz: Does the theory that branches of the Serbian and Croatian UDBA work well together to this day hold true? Peratović: One of Milošević’s most famous UDBA members, Božidar Spasić, who is implicated in the murder of Kosovar dissident Hadri in Belgium in 1990, did not accuse Perković during the Prates court proceedings. Today the Serbian media have exonerated him of all responsibility, putting the onus on the late Stane Dolanc. After the 1980s UDBA broke up in mutual agreement and collaborated well together during the war, as they do now. SEEbiz: Should politically motivated murders be subject to a statute of limitations? Peratović: In order to avoid making anything a political issue, we must implement practices such as those in Germany, where no murder is subject to a statute of limitations. However, this change should be made only once Josip Perković is extradited to Germany, so that in the future should Croatian legal proceedings be brought against him, where he would surely be set free. This fact would then be stressed as the reason he was not originally extradited, which is currently the defense strategy that the government is pursuing with all its might.